Daniel Tiger learns all about patience in this sweet Pre-level 1 Ready-to-Read based on a popular episode of Daniel Tiger’s Neighborhood! 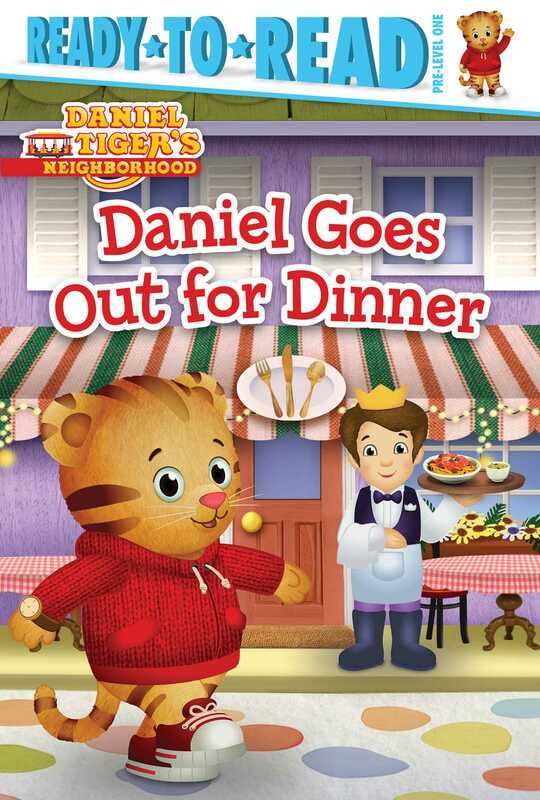 Daniel Tiger and his family are going out to eat with Katerina and her mom! Daniel is excited, until he finds out he has to wait at the table for his food to be cooked. Luckily, Daniel’s mom shows him that when he waits, he can play, sing, or imagine anything! This book includes a checklist of tips at the back, so readers can be on their best behavior the next time they go out to dinner!